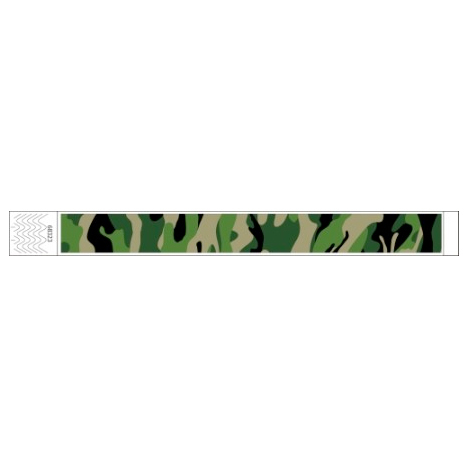 1" x 10" The Camouflage tyvek wristbands are among our most popular items. They are low cost security for your event. Each wristband is similar to paper, but is totally waterproof, and has tamper proof slits backed by an aggressive adhesive to ensure event security. 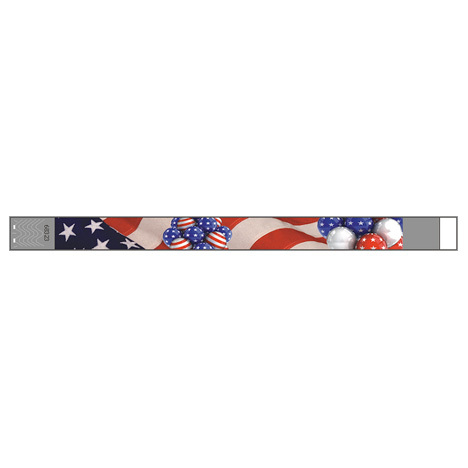 The camouflage wristbands come sequentially pre-numbered for excellent inventory control. These wristbands will fit a large person, or a small child. Simply remove the covering from the adhesive, wrap it around the wrist, and adhere it onto itself. If someone tries to peel it back in an attempt to apply it to another person, the adhesive holds fast and the tamper proof slits shred apart making reuse almost impossible. 1 Quantity = 500 Wristbands.